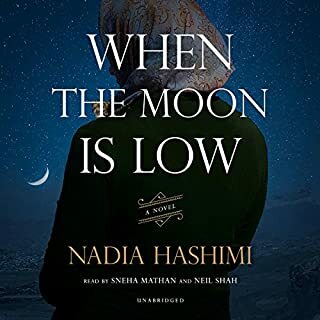 Nadia Hashimi's literary debut is a searing tale of powerlessness, fate, and the freedom to control one's own fate that combines the cultural flavor and emotional resonance of the works of Khaled Hosseini, Jhumpa Lahiri, and Lisa See. In Kabul, 2007, Rahima and her sisters can only sporadically attend school and can rarely leave the house. Their only hope lies in the ancient custom of bacha posh, which allows young Rahima to dress and be treated as a boy until she is of marriageable age. Mahmood's passion for his wife, Fereiba, a schoolteacher, is greater than any love she's ever known. But their happy middle-class world - a life of education, work, and comfort - implodes when their country is engulfed in war and the Taliban rises to power. Mahmood, a civil engineer, becomes a target of the new fundamentalist regime and is murdered. Forced to flee Kabul with her three children, Fereiba has one hope to survive: She must find a way to cross Europe and reach her sister's family in England. Not Written So Much As Sung! India, 1986: Mukta, a 10-year-old village girl from the lower-caste Yellama cult, has come of age and must fulfill her destiny of becoming a temple prostitute, as her mother and grandmother did before her. In an attempt to escape her fate, Mukta is sent to be a house girl for an upper-middle class family in Mumbai. There she discovers a friend in the daughter of the family, high-spirited eight-year-old Tara, who helps her recover from the wounds of her past. Three generations of Palestinian-American women living in Brooklyn are torn between individual desire and the strict mores of Arab culture in this powerful debut - a heart-wrenching story of love, intrigue, courage, and betrayal that will resonate with women from all backgrounds, giving voice to the silenced and agency to the oppressed. 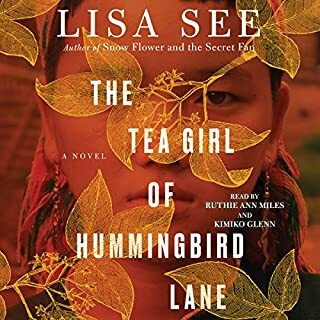 The thrilling new novel from number-one New York Times best-selling author Lisa See explores the lives of a Chinese mother and her daughter who has been abandoned and adopted by an American couple. ***EXCELLENT*** Six stars if I could !! 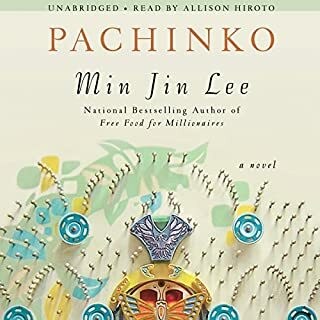 Profoundly moving and gracefully told, Pachinko follows one Korean family through the generations, beginning in early 1900s Korea with Sunja, the prized daughter of a poor yet proud family, whose unplanned pregnancy threatens to shame them. Betrayed by her wealthy lover, Sunja finds unexpected salvation when a young tubercular minister offers to marry her and bring her to Japan to start a new life. 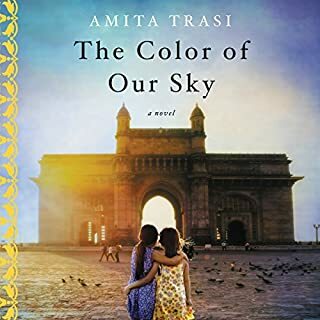 Bhima, the unforgettable main character of Thrity Umrigar’s beloved national best seller, The Space Between Us, returns in this triumphant sequel - a poignant and compelling novel in which the former servant struggles against the circumstances of class and misfortune to forge a new path for herself and her granddaughter in modern India. Poor and illiterate, Bhima had faithfully worked for the Dubash family, an upper-middle-class Parsi household, for more than 20 years. Most amazing story and narration ever! Obayda's family is in need of some good fortune, and her aunt has an idea to bring the family luck - dress Obayda, the youngest of four sisters, as a boy, a bacha posh. Life in this in-between place is confusing, but once Obayda meets another bacha posh, everything changes. Their transformation won't last forever, though - unless the two best friends can figure out a way to make it stick and make their newfound freedoms endure. Jason has just learned that his Afghan mother has been living illegally in the United States since his father was killed in Afghanistan. Although Jason was born in the US, it's hard to feel American now when he's terrified that his mother will be discovered - and that they will be separated. When he sees his mother being escorted from her workplace by two officers, Jason feels completely alone. He boards a train with the hope of finding his aunt in New York City. I was rivetted, finished in three days. It is the summer of 2011, and Nour has just lost her father to cancer. Her mother, a cartographer who creates unusual, hand-painted maps, decides to move Nour and her sisters from New York City back to Syria to be closer to their family. But the country Nour's mother once knew is changing, and it isn't long before protests and shelling threaten their quiet Homs neighborhood. More than 800 years earlier, Rawiya, 16 and a widow's daughter, knows she must do something to help her impoverished mother. Restless and longing to see the world, she leaves home to seek her fortune. Khaled Hosseini, the number-one New York Times best-selling author of The Kite Runner and A Thousand Splendid Suns, has written a new novel about how we love, how we take care of one another, and how the choices we make resonate through generations. 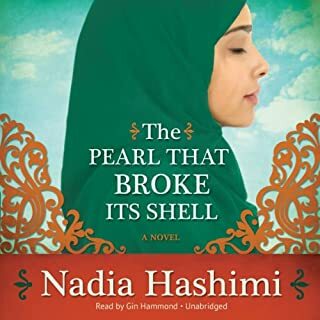 A vivid, unforgettable story of an unlikely sisterhood - an emotionally powerful and haunting tale of friendship that illuminates the plight of women in a traditional culture from the author of the best-selling The Pearl That Broke Its Shell and When the Moon Is Low. For two decades Zeba was a loving wife, a patient mother, and a peaceful villager. But her quiet life is shattered when her husband, Kamal, is found brutally murdered with a hatchet in the courtyard of their home. Nearly catatonic with shock, Zeba is unable to account for her whereabouts at the time of his death. Her children swear their mother could not have committed such a heinous act. Kamal's family is sure she did and demands justice. Barely escaping a vengeful mob, Zeba is arrested and jailed. As Zeba awaits trial, she meets a group of women whose own misfortunes have also led them to these bleak cells: 30-year-old Nafisa, imprisoned to protect her from an honor killing; 25-year-old Latifa, who ran away from home with her teenage sister but now stays in the prison because it is safe shelter; and 19-year-old Mezhgan, pregnant and unmarried, waiting for her lover's family to ask for her hand in marriage. Is Zeba a cold-blooded killer, these young women wonder, or has she been imprisoned, as they have been, for breaking some social rule? For these women the prison is both a haven and a punishment. Removed from the harsh and unforgiving world outside, they form a lively and indelible sisterhood. Into this closed world comes Yusuf, Zeba's Afghan-born, American-raised lawyer, whose commitment to human rights and desire to help his motherland have brought him back. 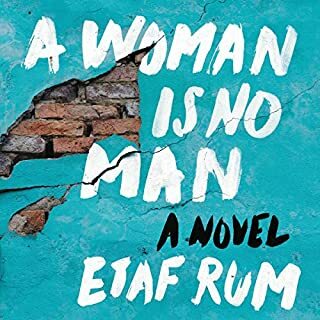 With the fate of this seemingly ordinary housewife in his hands, Yusuf discovers that, like Afghanistan itself, his client may not be at all what he imagines. 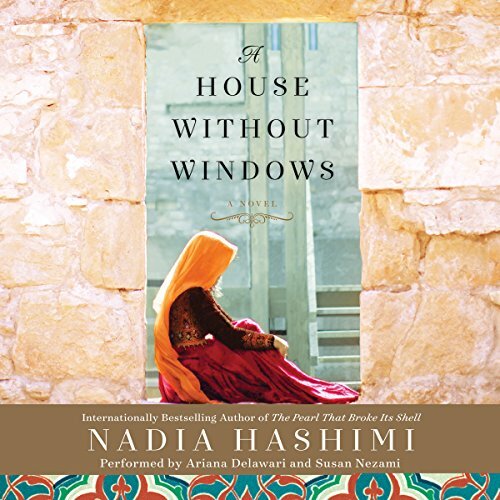 A moving look at the lives of modern Afghan women, A House Without Windows is astonishing, frightening, and triumphant. This book tended to ramble more than her previous works. I found it hard to keep up with what was happening at times. The story would be on one topic and spiral with a character to something else entirely. It didn't move between plots as well as Nadia's other books. If you’ve listened to books by Nadia Hashimi before, how does this one compare? I love love loved the Pearl That Broke Its Shell. It was fantastic and I highly recommend it to anyone. I couldn't stop listening to it. I immediately listened to her other works, including the young adult accompaniment to Pearl. They were all good. This one however, while I expected to really enjoy wasn't as good. The story just sort of spun all over - plot lines seemed disconnected. I also thought the true identity of the Mullah was just too convenient. There were times in conversations that I couldn't tell who was talking (could have been the performance). Overall, while I am glad I read it and the topic is interesting, it just wasnt as good as Pearl or Moon. Who would you have cast as narrator instead of Ariana Delawari and Susan Nezami ? Possibly - I just don't think the main narrator was the right choice. Her voice sounded too young. It was the same narrator from the young adult book, so the whole time the voice associated with a teenager. She did not do the different characters well in unique tones or consistently; it was tough to know who was talking at times. A more mature voice, and one with an Afghan accent would have been better for this story. Or it could have been done with multiple narrators. She did well with One Half from the East; this was not a good match between story and narrator. Atossa Leoni - who performed 'A Thousand Splendid Suns' did a fantastic job and would have been a good choice for this story. As would either of the 2 prior female narrators for the authors other books. Do you think A House Without Windows needs a follow-up book? Why or why not? It could - but rather than focus on Zeba, I would focus on Yusef and the other women imprisoned at the jail. I think there are many more stories there that could be told. In past books, it would shift between characters very distinctly to give perspective/angles on the story. This one seemed more to ramble/spiral more and there were times when I couldn't tell what the point was of the context...what it was leading towards. The topic was interesting, but I was not as hooked on the story as much as in her past novels. The performance also impacted the enjoyment of this book unfortunately. I will definitely read further books from Nadia Hashimi - I love learning these stories from Afghanistan. Would you consider the audio edition of A House Without Windows to be better than the print version? I wished I had read it in print. I really didn't enjoy the narrator, who sounded like she was reading a children's book to small children. This seriously contrasted with some of the darker themes that the author was addressing. What didn’t you like about Ariana Delawari and Susan Nezami ’s performance? Her childish narration diminished the depth of the female characters. Her reading of the protagonist's mother made her sound like a evil hissing snake, which is not at all how I imagined this character. She made the other female prisoners sound ridiculous and silly. It was distracting. I love Nadia Hashimi's novels. This one was a fascinating exploration of culture, history, and women's rights in Afganistan, like her other novels. The House Without Windows focused on the justice system. From the unrealistic dialogue between characters to the robotic narration, this book was extremely difficult to wade through. While I usually enjoy getting a glimpse into different countries and their cultures, this book feels like it's written by an American who visited Afghanistan and is pretending to know what Afghani culture is like. None of the characters are well developed, every situation seemed trite and cliché.... Even to the point of throwing in a hint of a romantic interest for our "hero" at the very end in the form of an independent, educated female reporter who seems to have zero influence to the storyline. I rolled my eyes continuously throughout the entire book. The narrator sounded like she was in a 5th grade play.... Pausing in the middle of sentences, emphasizing the wrong syllables, monotone in some places, high pitched and whiny in others. If not for the awful performance, I'd give this book a 2 1/2. With the performance, I'm being generous by giving it a 2....I was extremely happy for it to be over. Reader too young! Excellent story! Reader too young! Excellent story! Still a good book, but reader sounds like a little girl. So beautiful presents the culture & women's rights in Afghanistan, an ugly TRUTH. Enjoy every seconds of it! book was good. I though there were some gaps in the story. I though there were too many characters as well. This is an absolutely great story - a fantastic book. It is so well written and in such a beautiful language. Zeba is accused for having murdered her husband. Slowly steep by steep it is revealed what happend.